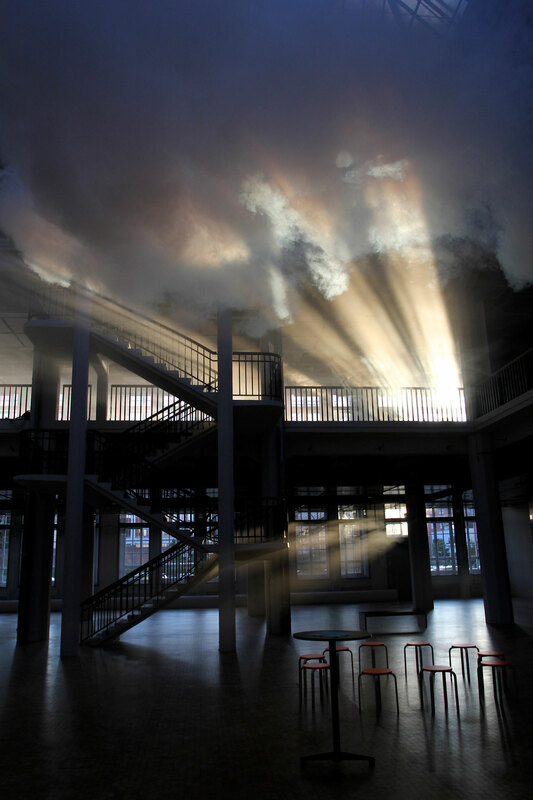 Peter Weibel, director of ZKM in Karlsruhe and curator of the exhibition "GLOBAL - DIGITAL", sees a man-made cloud in an enclosed space as an example of the exo-evolution, meaning of the man-made evolution. 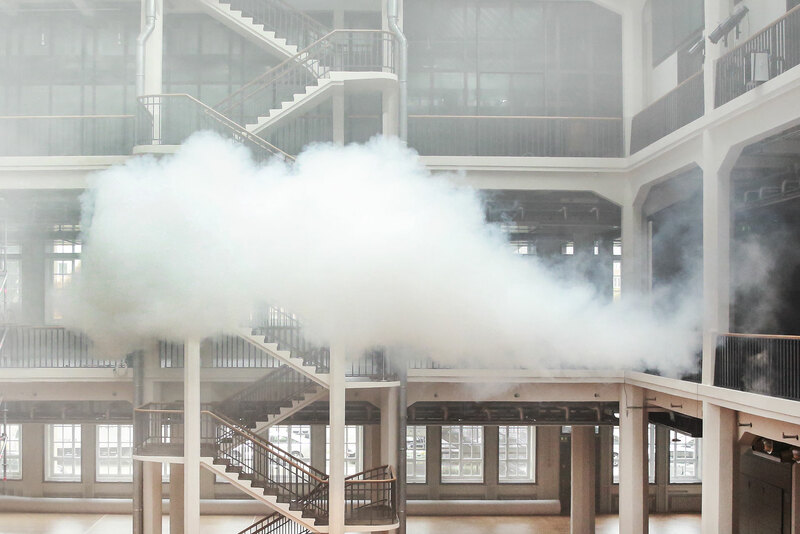 Cloudscapes created by Transsolar and Tetsuo Kondo, is therefore one of the two opening-exhibits, a 300-day exhibition for the 300-year anniversary of the city of Karlsruhe. 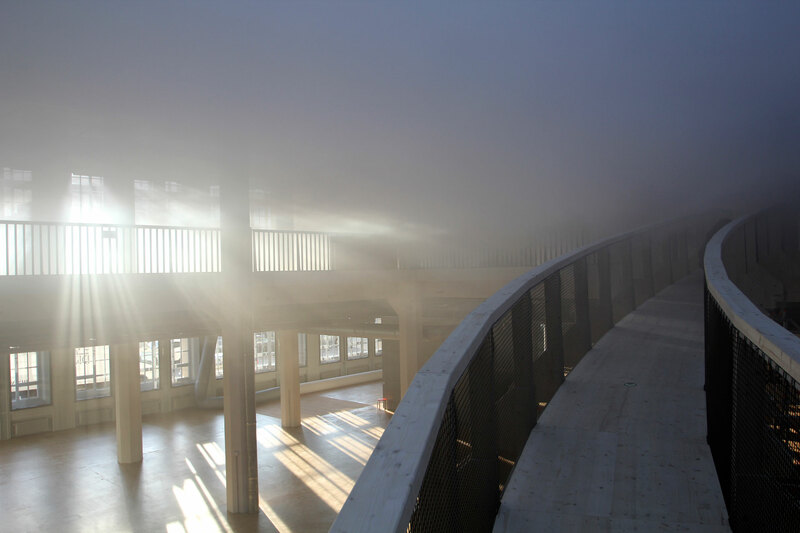 In two connected atriums covering a space of 7000 m² the moving clouds and sea of clouds communicate with the historic structure of the Center for Art and Media (ZKM) Karlsruhe. 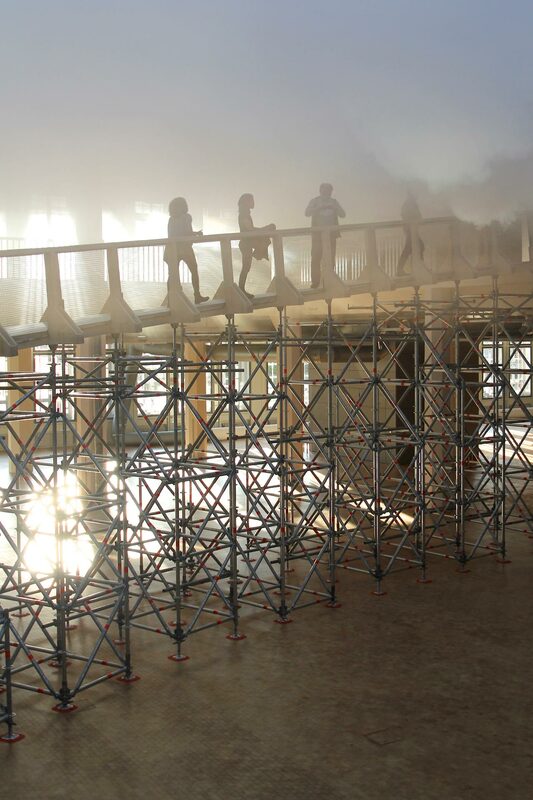 The clouds and the climatic conditions for artificially generated clouds can be perceived by using a ramp and a tower construction that lead into the clouds, on the second building level the visitor can be "above the clouds". 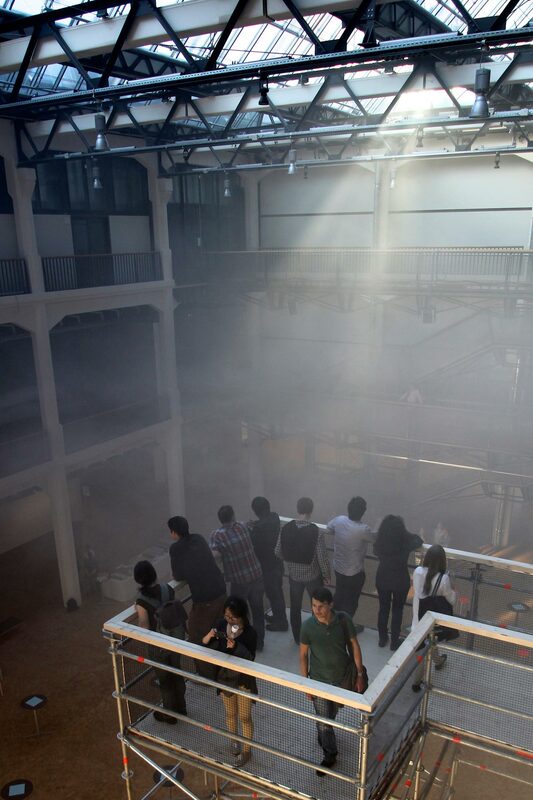 Creating indoor clouds causes high energy demands relating to the energy that drives the forces of our atmosphere. 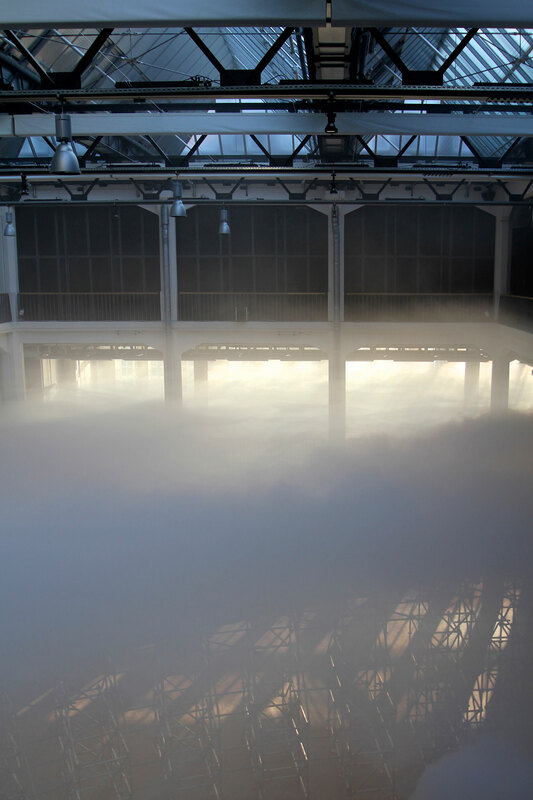 Initially inconspicuous changes in temperature, humidity level, or air movement have huge impact on the appearance of the man-made cloud in the museum. This symbolizes what influence current environmental interventions must have only on a larger scale and how we treat our sensitive planet.